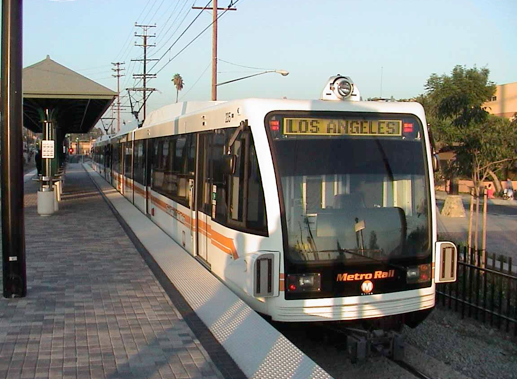 MUSING WITH MIRISCH--The recent LA Times article which highlighted a ridership slump at Metro has occasioned much hand-wringing, kneejerk blowback and rationalization among self-styled transit hipsters. The article points out how, despite ongoing expenditures of billions of dollars, Metro continues to struggle to get people to use public transportation. While it’s fairly easy to understand where the hand-wringing is coming from, if anything, the article indicates that we in LA County should collectively be cautious before approving another “transit tax” – something that is being proposed by Metro for this November’s ballot. For Metro and the transit advocates, many of whom themselves nosh on the taxpayer bounty provided by Measure R (with more noshing to come with the potential successor this November,) it’s all about the money. Focus groups, lobbyists, political advisors are all aimed at answering the question: How can we get the voters of LA County to approve a new tax? “Promise bones” are being thrown in all directions of the county to try to secure endorsements of local politicians in an effort to make sure the future tax measure doesn’t suffer the fate of Measure J, which failed to pass despite massive Transit Establishment support and virtually no funded opposition. It’s the wrong question for Metro to be asking. The critical question is not how we can get a new tax passed. The question is: How can we best improve mass transit within the County? And if we are going to pass another tax, how can we get the best value for our taxpayer dollars? And are we currently getting the best value for the billions Metro spends each year? And shouldn’t we ensure we are getting the best value-for-money before committing more funding to Metro? Finally, shouldn’t we ensure that the Metro Board proportionally and equitably represents all the residents of the County before the taxpayers of the entire County commit more money to the agency? (In a blatant rejection of the principle “one person, one vote,” the 6 million non-LA residents of the County are currently underrepresented by some 60% on the Metro Board). "There's been lots of focus by transit agencies on shiny new things, sometimes at the expense of bus routes which serve the primary constituencies of transit agencies: low-wage workers," said Brian Taylor, the director of UCLA's Institute of Transportation Studies. "Lots of resources are being put into a few high-profile lines that often carry a smaller number of riders compared to bus routes." Washington’s long-term thinking is to be applauded, especially when the other Washington – and all other levels of government below it down to the local – generally think in vistas which don’t go beyond the next election cycle. But there is also clearly a challenge with spending billions of dollars now for “100 years down the road.” It means we need to make sure that any infrastructure we are building now will not be obsolete; it means we need to build with technological and demographic adaptability in mind. In the “Is it really the dream of every bus rider to have a car?” article, Steve Hymon writes: “I like my car (which I often park at a Gold Line Station).” The implication is that a mix of transit options which includes cars can best serve the County’s residents. Hymon drives his car to the Gold Line, then takes public transit. However, this mix would be made more difficult by the anti-car hipsters who want to use punitive measures to force people to use public transit. Neither does Metro itself actually encourage or enable this mix on a consistent basis. The much touted Purple Line, for example, will offer no park-and-ride options, boxing out potential riders like Steve Hymon who would like to leave their cars at transit stations. As I wrote last April in The Los Angeles Business Journal, in which I proposed a municipal automated shuttle system for Beverly Hills, driverless vehicle technology offers an exciting solution to first/last mile challenges; getting to and from transit stations (“the first/last mile”) can be a substantial obstacle to potential commuters’ use of public transportation. In addition to hyperlocal transit applications, driverless vehicle technology can be a substantial part of the overall public transit equation, much bigger, in fact, than Metro is currently acknowledging. Not every bus rider may dream of having a car, but it’s pretty safe to say that almost every transit rider wants to get from Point A to Point B in as efficient and time-saving manner as possible. D’uh. On demand point-to-point public transportation should be any transit agency’s ultimate goal, and while this will likely involve a cocktail of transportation forms, driverless mass transportation can and should play a major role in achieving solutions. Driverless vehicle technology, both within the private and public transportation sector has the potential to take significant numbers of vehicles off the streets, as well as to use the streets more efficiently. The irony of the potential of driverless vehicle technology within the public transportation sector should not be lost upon transit advocates who are more concerned with getting people from Point A to Point B than shiny new things and an anti-car bias: the road infrastructure we have developed in LA, much to the dismay of the anti-car crowd, could very well unwittingly prove to be the best “Point A to Point B” infrastructure investment we ever have made with the advent of automated vehicles and automated public transportation. A significant investment in driverless vehicle technology, along with an eye towards other kinds of developing technological solutions, perhaps including advanced models of Personal Rapid Transit (PRT) should be a major focus of any future tax measure or additional transportation expenditures. What is being proposed now is mainly just a form of “same old, same old,” some of which indeed may be necessary, but certainly not to the exclusion of new, developing and future technologies with a 100 year forward-looking vista in mind. In other words, Metro is looking more to cobble together political support to get a new tax passed, rather than providing a forward-thinking vision to solve the actual transportation problems we face in LA County every day. Right now it seems like a case of matter over mind and money over vision, and that’s something we can and must change. When the Purple Line was approved, the notion of a municipal automated shuttle system would pretty much have been in the realm of “Beam me up, Scotty.” Now, the technology will be ready for prime-time before the LaCienega/Wilshire station opens. If Metro can use technology to figure out good answers to this question, ridership will naturally and organically increase and traffic will decrease. Rather than simply looking backwards to transportation models of the past hundred years, practical and political solutions should follow a well thought out, forward-looking vision which looks to fully integrate new and developing technologies. This is the clear and logical answer to Metro’s ridership slump. The Metro Board now has a historic opportunity to fix Metro’s ridership slump by providing real leadership for the benefit of all the residents in LA County; not surprisingly, it involves more – much more – than simply trying to get us all to pass another transportation tax. (John Mirisch is the Vice Mayor of Beverly Hills; as Mayor, he created the Sunshine Task Force to increase transparency, ethics and public participation in local government.) Prepped for CityWatch by Linda Abrams. In short, a revolutionary end to Metro’s ridership slump is within our grasp, but Metro will have to change its current endgame. Metro should be less concerned with answering the question, “How can we get voters to approve a new tax?” and more concerned with answering the question: “How can we get people from point A to point B in as efficient, cost-effective and convenient a way as possible?” If Metro can use technology to figure out good answers to this question, ridership will naturally and organically increase and traffic will decrease. Rather than simply looking backwards to transportation models of the past hundred years, practical and political solutions should follow a well thought out, forward-looking vision which looks to fully integrate new and developing technologies. This is the clear and logical answer to Metro’s ridership slump.